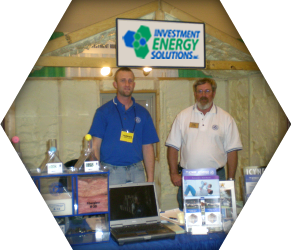 at Investment Energy Solutions, Inc. 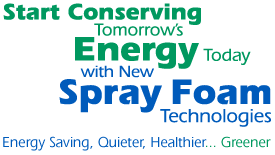 Built on a solid foundation of 30 years’ building experience, IES is the contractor to turn to for factory-trained and factory-certified sprayers who use the latest technology and equipment. We serve Virginia and North Carolina and are members of the National Association of Home Builders (NAHB) and the New River Valley Home Builders Association (NRVHBA), of which IES owner, Dennis Bartley, is a past president. IES is also EVA and SWAM certified to bid on Virginia state government projects. IES is committed to greener building by offering an insulation that reduces energy costs up to 50 percent - something you’ll appreciate today and in the future. Call 540.382.0602 today for a FREE consultation and estimate. Home | © 2009 Investment Energy Solutions, Inc.